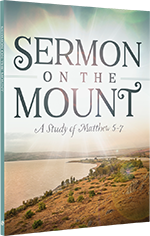 This verse-by-verse study of Matthew 5–7 examines the essential teachings of Christ. How can we live wholeheartedly devoted to Christ? James answers by offering true wisdom from above. As we study God’s character and rely on His wisdom, He will build in us a faith that is genuine, loving, and free of worldly affections.